50 YEARS OF SUCCESS AND WE'RE STILL WORKING FOR YOU! Lucas Metal is a custom/pre-fab steel building manufacturer who produces top quality steel structures and offers 40-year warranty metal roofing. In addition to customer/pre-fab steel buildings and roofing, Lucas Metal Works also has a line of Farm & Ranch Equipment along with the nationally recognized Ground Hog™ Arena Tool. Our Ground Hog™ Arena Tool is utilized at the nation's top-rated arena events and rodeos. Lucas uses only high-quality steel to produce their products to offer their customers the best in quality. Lucas Metal Works employs expert welders, panel & trim specialists and our customer service is amongst the best in the business. Due to our in-house roll former and our professional operators, quality control is monitored throughout the entire building manufacturing process and allows for quicker turn-around times for our customers. Lucas customer's always rest easy knowing they are investing in steel products that look good, stand the test of time and most importantly save time, energy and money. 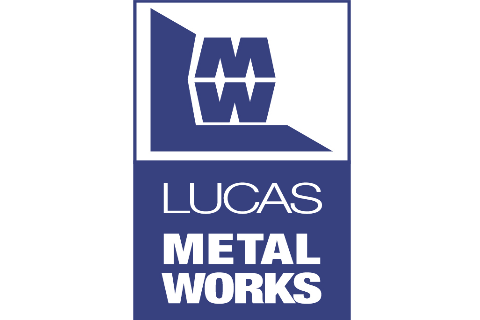 Give us a call to learn more about Lucas Metal Works, our exemplary products and services. Feel free to stop by Lucas Metal Works at 396281 West 3000 Rd., Ochelata, OK USA - We're open 8:00 AM to 5:00 PM Weekdays. You can visit our website at www.lucasmetalworks.com Or give us a call at 866-689-8904 anytime. Our employees are eager and ready to assist you!